Opening your own gym franchise has never been easier when you choose to invest in Workout Anytime. If you’re looking into investing in the health and wellness industry, Workout Anytime has a great opportunity for you. Opening a fitness franchise with Workout Anytime is an excellent way to get involved in the booming fitness industry while also helping your community get healthier and build a business for yourself. 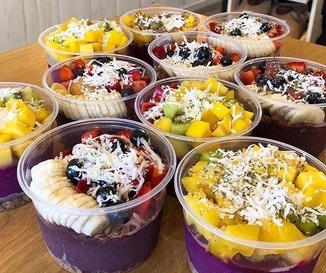 At Workout Anytime, our simple business model combined with convenience for our customers has helped us become a fitness fixture in the Southern United States. Now, we’re actively expanding across the country and looking to open gym franchises from coast to coast! Explore our website to learn more about opening a fitness club franchise, our team, what we have to offer our franchise-partners, and more! With many fitness franchise opportunities to choose from, we’re excited to show you why Workout Anytime stands out from the rest. From our rich history in the fitness industry to the stellar offerings we present both clients and franchise-partners, Workout Anytime is a great investment for qualified potential franchise-partners looking to invest in a gym franchise. I wanted to take a moment to thank you both for the opportunity you’ve given me to own and run gyms.You may or may not know that my plan to use Workout Anytime as an exit strategy from a corporate job which I grew to hate has in fact taken place. I formally retired in September after 36 years managing a printing company. I start every day excited to come to the gym to strategize on growth, greet members, clean, and work out. I love working with my son, Brett. We challenge each other daily. The results speak for themselves. I enjoy all aspects of my day and am thrilled to be part of the Workout Anytime Family. Thanks to both of you guys. - Bill. Reach out to us by completing our simple online form with your information. Next, we’ll arrange a time to meet via phone. During our introductory call, we’ll go over all of the basics, such as our business model and your goals, to see if we would be a good fit. In this stage, you’ll provide us with financial and personal information so that we can conduct a review of your financials and a background check. 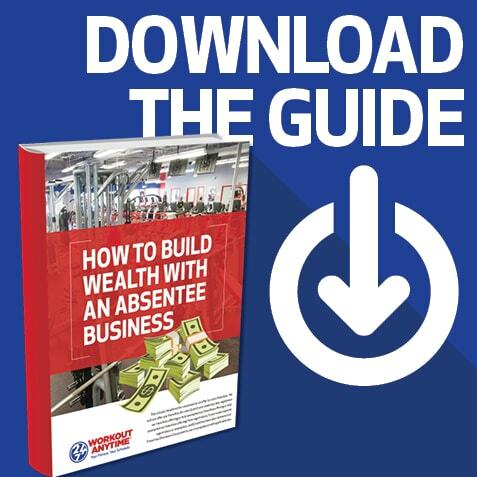 You’ll be presented with a copy of our franchise disclosure document (FDD), an important document that presents you with all of the inner workings of our company. You will be invited to our Corporate Headquarters or Regional Market to meet the team and tour some clubs. You will be encouraged to reach out to our current Franchise Partners for their unique experience with joining the Workout Anytime family. Once you’ve met our team and had a chance to review the FDD, you’ll join our team by signing a franchise agreement. Welcome aboard! We have locations across the Continental United States. 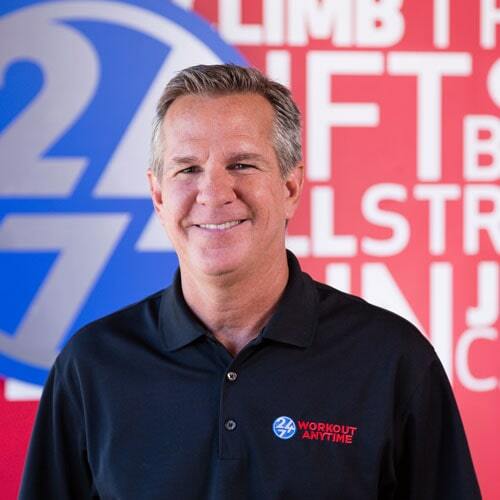 In February, 2019, Workout Anytime Senior Vice President of Development Randy Trotter was featured in BIZ Magazine SB, "Shreveport Market Prime for Franchise Opportunities"
The segment can be viewed online here. February 25, 2019 featuring South Congaree Workout Anytime Trainer Ryan Brazell on WACH (FOX Affiliate) in Columbia, SC. Trainer Ryan Brazell talks about building a routine. 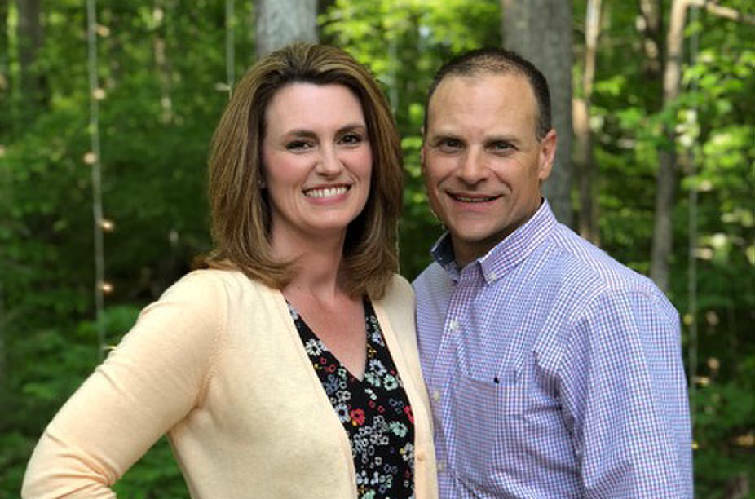 February 27, 2019 featuring Ooltewah Workout Anytime franchisees Scott and Tara Shepherd in the Chattanooga Times Free Press. 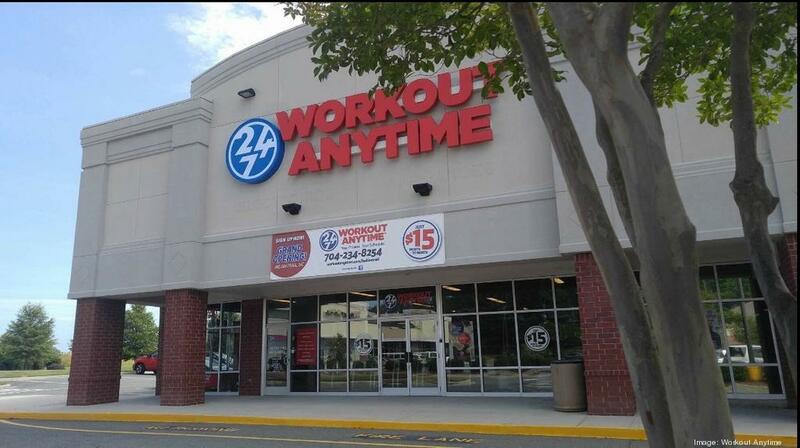 "Work Out Anytime facility opening in Ooltewah Friday" "There are no 24/7 workout facilities in Ooltewah so we think there is a great opportunity here in one of the fastest growing parts of town," Shepherd said. 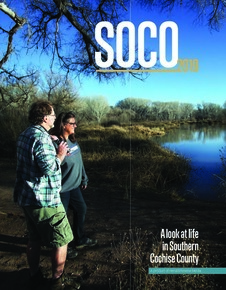 March 6, 2019 featuring Workout Anytime Senior VP of Development Randy Trotter in Sierra Vista Herald Magazine. "Business is Booming"
March 2, 2019 featuring Workout Anytime in the Augusta Chronicle "Scuttlebiz: Health-conscious business seek partners in 'unhealthy' Augusta"
March 7, 2019 on Chattanoogan.com featuring Ooltewah's Workout Anytime. March 11, 2019 featuring Rocky Mount Workout Anytime Personal Trainer Amber Toomey on WSLS in Roanoke, VA.
"Amber is here from Workout Anytime to help us get motivated to keep up our health and fitness goals through March-- and the end of the year. Plus, she's sharing an easy High Intensity workout routine you can try at home!" March 13, 2019 featuring Workout Anytime Senior VP of Development Randy Trotter on AL.com. 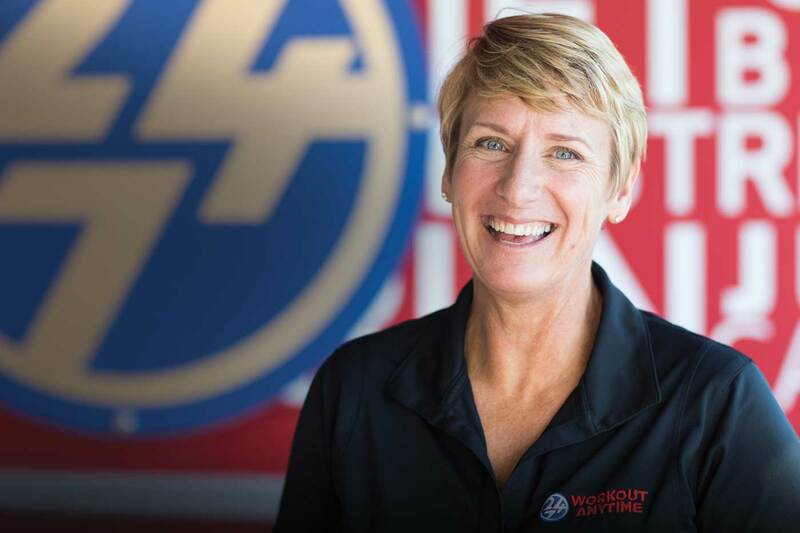 "Workout Anytime looking to expand in Alabama"
March 18, 2019 featuring Rocky Mount Workout Anytime Personal Trainer Amber Toomey on WFXR in Roanoke, VA.
March 26, 2019 featuring Workout Anytime franchisee Steve Ayers and Senior VP of Development Randy Trotter in the Orlando Business Journal. 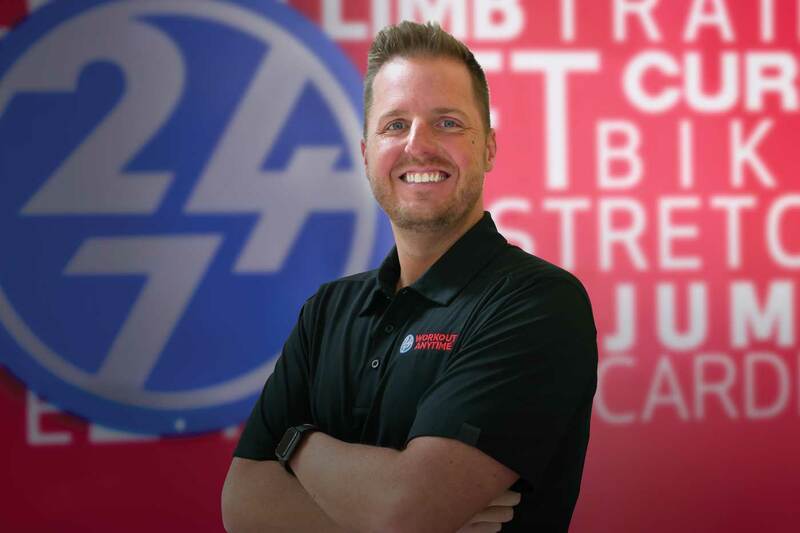 The article titled "Gym with 24-hour access to add 10 Central Florida locations"
March 29, 2019 featuring North Boise Workout Anytime franchisee Chris Gately in Idaho Business Review. The article titled "Workout Anytime muscles into the Treasure Valley". April 2nd, 2019 featuring Workout Anytime Senior Vice President of Development Randy Trotter in The Albany Herald. The article titled "Workout Anytime considering more rural locations, including Albany". April 19, 2019 featuring Workout Anytime Senior VP of Development Randy Trotter in the Valdosta Daily Times. The article titled "Workout Anytime Eyeing South Georgia"
April 18, 2019 featuring Workout Anytime on Thomasville Times-Enterprise.The article titled "Workout Anytime Eyeing South Georgia"